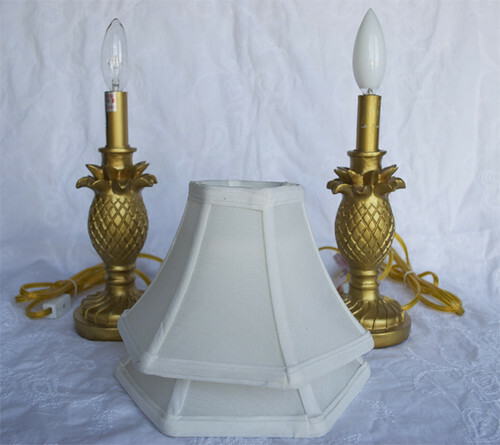 Proper Hunt: For Sale: Two Gold Pineapple Lamps, $30 for both! 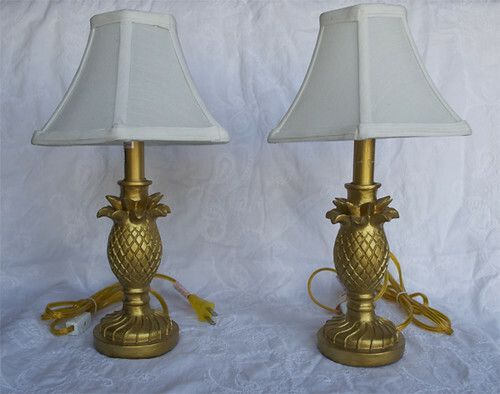 For Sale: Two Gold Pineapple Lamps, $30 for both! 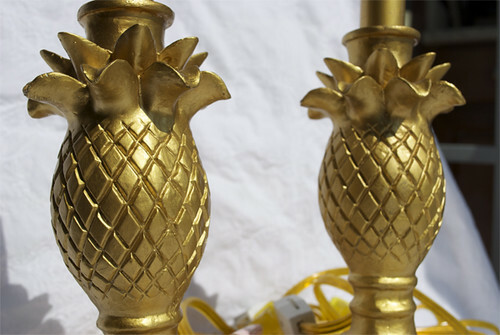 I got these gorgeous, unique gold pineapple lamps this past weekend and thought you might want to have a chance at obtaining them for your home. 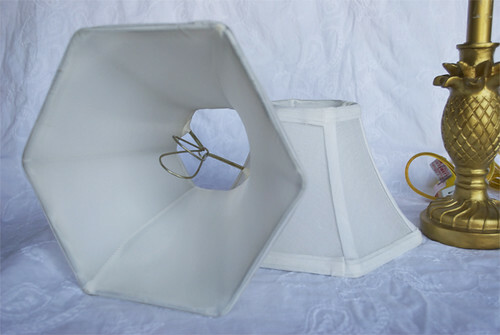 I would sell these on my Etsy store, Shop Proper Hunt, but seeing as how they are not vintage lamps, I can't. BUT, that doesn't mean you can't get them. I am selling them for $30!! 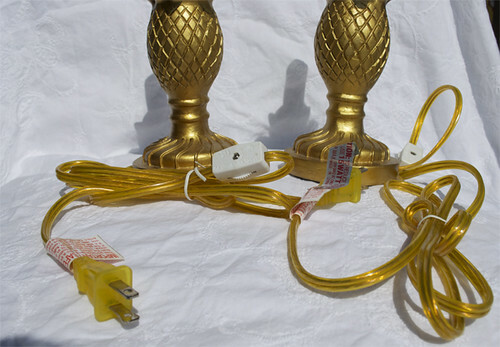 The price includes the lamps and lampshades but not the light bulbs (might be a big dangerous to ship those). Contact me at ProperHunt@gmail.com to purchase them. First come first serve since I only have 1 pair. 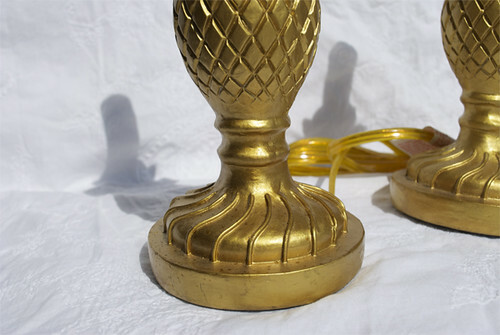 Diameter of Base - 11 5/8"
Width of widest part of pineapple - 7 3/8"